When our lovely admin lady at work offered me some carrots for my rabbit April – I gladly took her up on the offer whilst telling her that although some of them would find their way to April I would also be making carrot cake. I saw this Jo Wheatley recipe a while ago and thought it would be a good opportunity to try it out – especially as carrot cake is one of my colleague’s favourite cake. This does make a lovely moist carrot cake as you brush the warm cake with an orange syrup. It’s topped with orange cream cheese frosting. 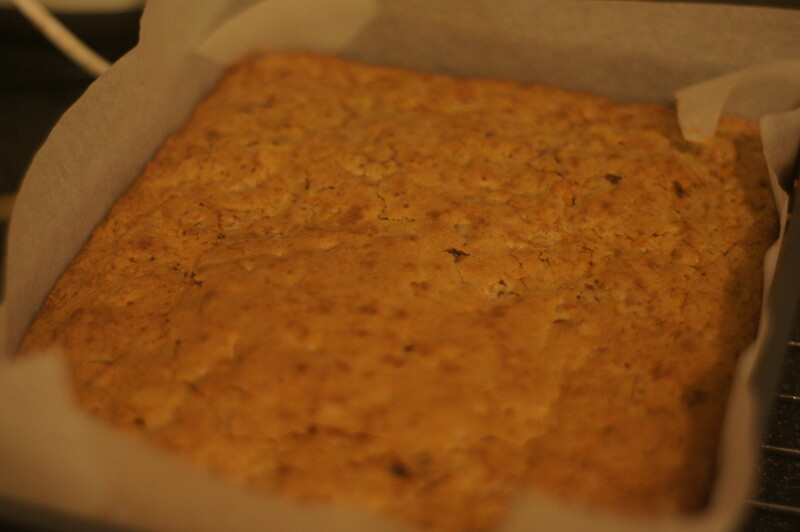 You will need a 25cm x 20cm (10in x 8in) baking tin. 1) Preheat the oven to 180C/160C Fan/350F/Gas 4. Grease and line your baking tin with baking parchment. 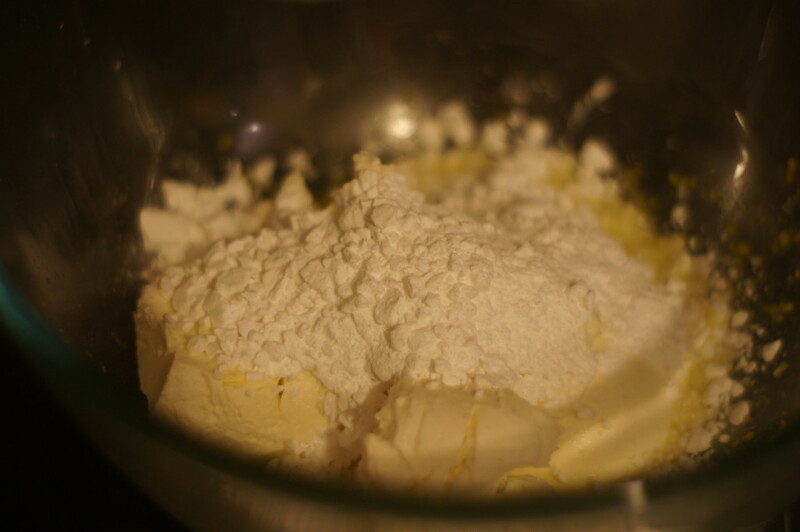 2) Mix together the sugar and oil using either an electric hand whisk or in the bowl of a free-standing mixer. Add the eggs and mix until smooth. 3) Using a large metal spoon, fold in the flour, mixed spice and a pinch of salt. 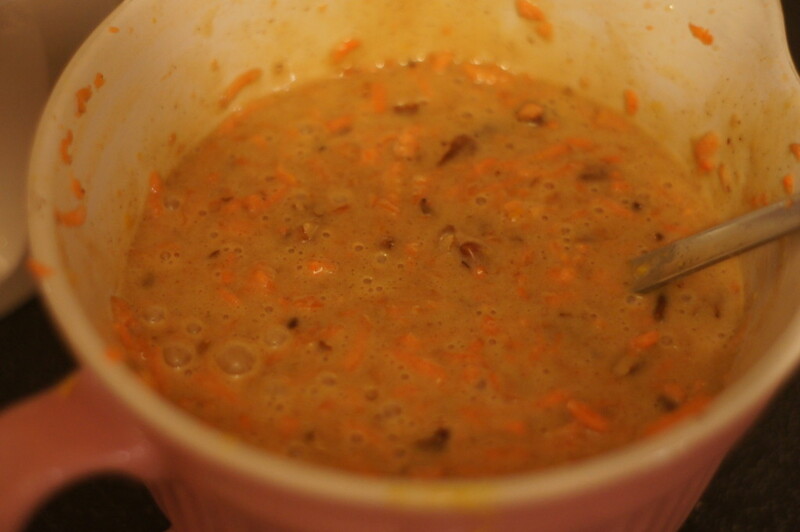 4) Add the grated carrots, chopped pecans and orange zest and mix until thoroughly combined. 5) Spoon into the prepared tin and bake on the middle shelf of the preheated oven for 30-40 minutes until golden and a wooden skewer inserted into the middle of the cake comes out clean. 6) Prepare the orange syrup. In a small saucepan, heat the orange juice and caster sugar until the sugar has dissolved and the liquid has reduced by one-third. 7) Brush the warm cake with the warm orange syrup and leave until completely cold. 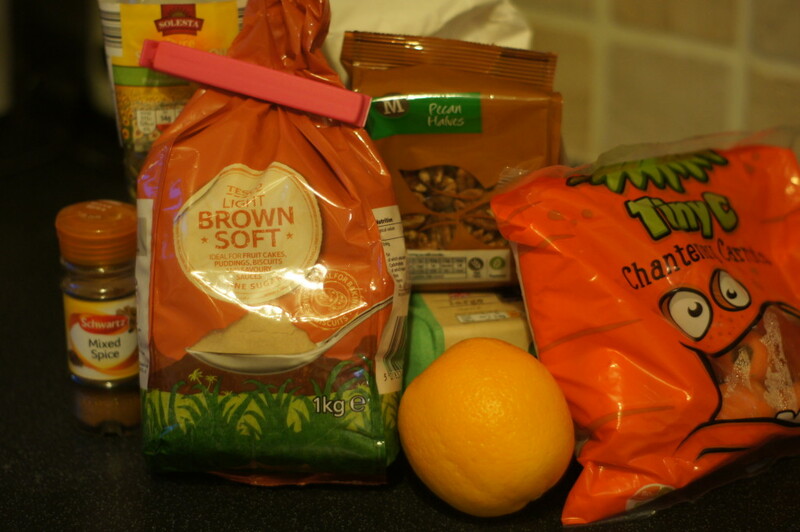 8) To make the frosting, beat the cream cheese, icing sugar, orange zest and orange juice until smooth. 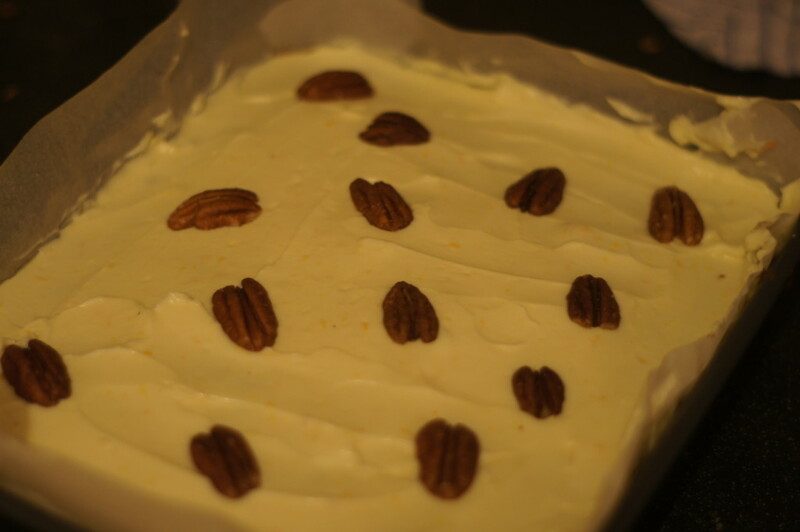 9) Once the cake has cooled, spread over the frosting with a palette knife and scatter with pecan halves to serve.